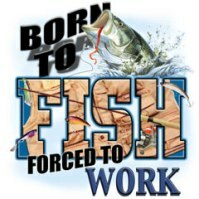 CTFishTalk.com: Governor Malloy Requests Help for Connecticut Fishermen - Connecticut Conservation & DEP ( CT Conservation & DEP ) - A Community Built for Connecticut Fisherman. Interesting read. I tried to look up commercial fishing regulations for limits on these fish, no luck. All the info you could want. Nice photo with the story. Looks like some guy hoisting a sturgeon, definitely not in CT. Lol. Author obviously doesn't fish much. Any fish or bait species taken contrary to this section shall be immediately returned, without avoidable injury, to the waters from which taken. And I understand that "immediately returned" means without taking any time to take photos of it. I hope that if I were to ever boat one, someone would be there to photograph it as I immediately return it. Yes, I agree that the photo with the story is propbably a stock photo, but there are sturgeon in Connecticut waters. Yes, there are sturgeon, but that pic is nowhere close to CT. At least get some guy hauling in the fish they are discussing. Yes, there are sturgeon, but that pic is nowhere close to CT.
An interesting piece that highlights a huge issue for both commercial and recreational fishermen, and the dilemmas we face on a much broader scale in our society. Governor Malloy's call for disaster relief and providing tax payer's dollars for an ongoing decline of fish stocks is not a Band-Aid, much less a solution. Katrina was a disaster. This is a prolonged decline and a shift in an industry. Disaster relief is not going to increase stocks next season, or the next and so on. Stock replenishment takes at minimum years. Will these subsidies continue as well? The industry simply cannot support the number of people remaining in it, and it's only natural that it will contract. My wife's grandfather was a milk man. He started out with a horse cart before he drove a milk truck. As you may have surmised, there came a time when his job was obsolete. Providing disaster relief to milkmen was not a practical option as their industry changed. (Before you point out that cow populations are not declining, the analogy is to government support of an unsustainable job.) I feel for Mr. Gambardella, and admire his sense of self-reliance, but the reality is, commercial fishing is it's own worst enemy, and this isn't going to change in the near future. Mr. Gambardella believes the issue would be resolved by eliminating quotas, but this is wishful thinking on the part of a man clinging to his livelihood. I'm not a big fan of regulation, but the reasons many stocks have been completely wiped out is that commercial fisherman have never been able to self-regulate on a large scale. His statement, “There's plenty of fish out there. We're throwing them overboard… We don't need free money. We need the quota to be up to make us go catch fish,” is not backed up by any data whatsoever, regardless of source. Lifting the quotas would simply result in the remaining commercial fishermen scouring the last of the resources for short term survival. There are solutions to keeping commercial fishing in our open waters sustainable, but these do not involve eliminating quotas or subsidizing the industry. I have to agree that paying people to stay in a job that is no longer feasible is a terrible idea. The money would be better spent on retraining them to do a useful job. Declaring a state of emergency is just a political move to help him stay in office. 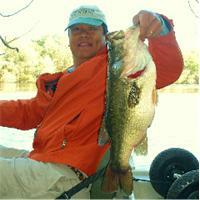 Now it may be a good idea to pause for a photo if you can get it without further injury or danger to fish and angler. Photo's are sometimes a great resource for the DEP and scientists. Keeping the fish in the water and providing some type of scale will greatly increase the value of the photo for memory and science.